XMind 2012 : with the revisions, you always know where you are ! XMind 2012 comes with interesting new features. Revisions are one of them. This brand new feature shows you every step of your mindmap drafting. In the previous article, I wrote about the brand new Gantt Diagram which turns XMind 2012 into a more business oriented software with great project management tools. Today, I will emphasize another great feature of this new XMind version : the revisions. Revisions show you the drafting of your mindmap step by step : like a photograph of each step of your mindmap. 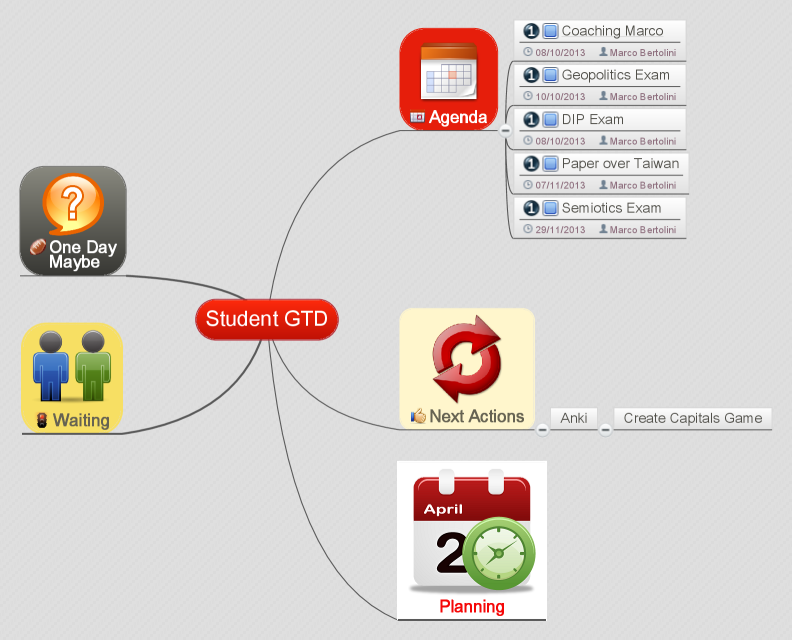 It is a very interesting feature if several members of a team or of a class are working together on the same mindmap. Each of them can see what the others have changed. Here is the final mindmap of the Calix Project we have used in the previous article. (Click on the picture to enlarge it). 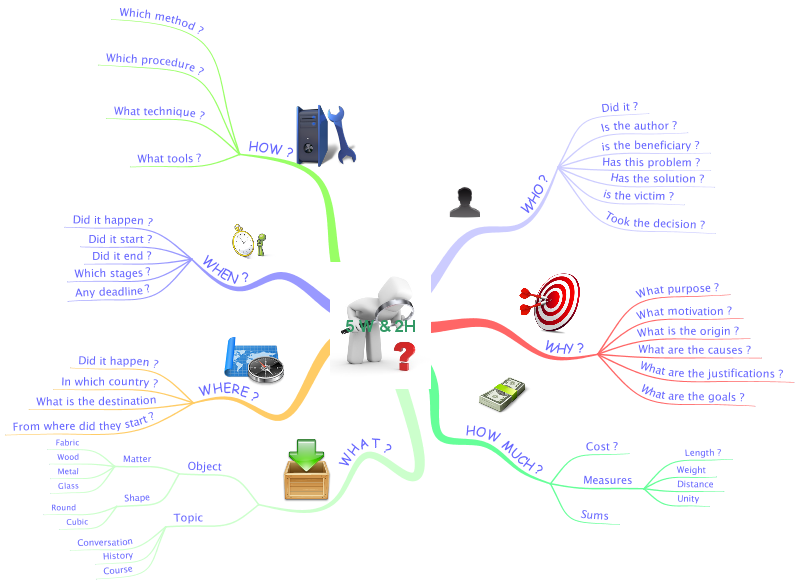 But what were the steps of this mindmap drafting ? How did I get there ? Wasn’t there a better version of my mindmap ? 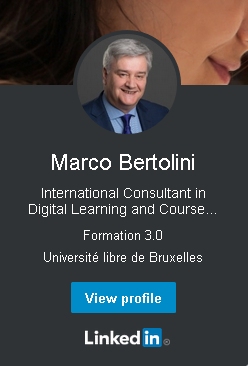 Or was there a step I finally dropped, but I could use somewhere else, in another mindmap ? 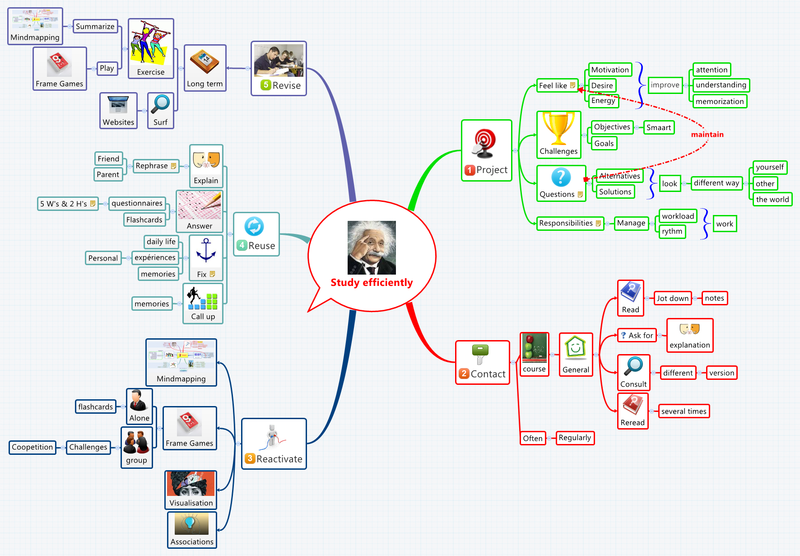 Review every step of your mindmap ! The Revisions tool allows me to review each and every step of my mindmap. For this Calix project – which was initially written in French – I added, at the fifth step – a topic “Objectifs” (Goals) with a picture. Finally, I decided to discard it to simplify my mindmap and to focus on my main topic : tasks management. Here is this discarded step, visible again thanks to the revision feature. (Click on the picture to enlarge it). 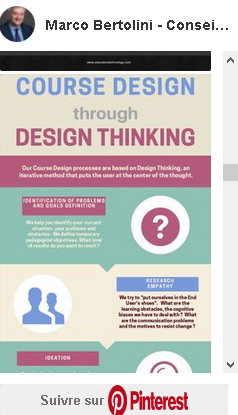 This is a very interesting feature for team work but also for students who want to rebuild the reasoning from scratch, for instance. I am pretty sure you will find new applications for this amazing tools ! 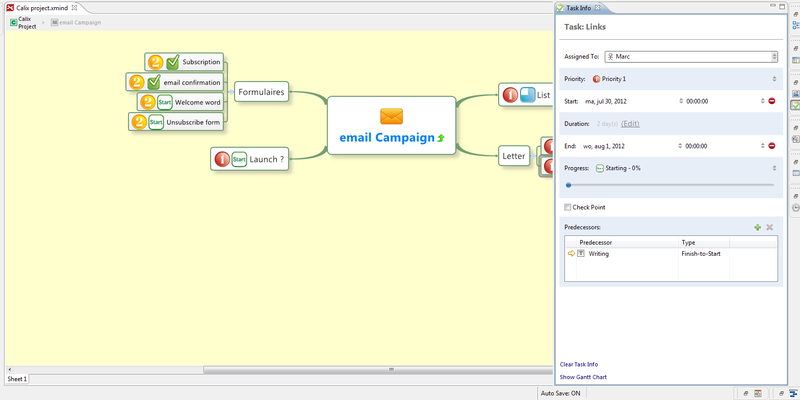 Do you want to mindmap with XMind too ? Then visit the download page and get it for free !